Last week has been a bit of an emotional roller coaster for Ben Affleck and Jennifer Garner. Mere days after it was confirmed that Affleck had split with his girlfriend of a year, Lindsay Shookus, we noticed that he may not have been maintaining his sobriety. By Thursday, Garner had staged an intervention of sorts the day before and ended up driving Affleck to a rehab center in Malibu, California. Now, as Affleck begins rehab for the third time (he went for the first time in 2001 and completed his second stint in 2017), E! News reported on why Garner has been unwaveringly supportive of her ex and why she stepped in to help him again. "Ben was having a really tough time," a source told E! News. "He continues to battle addiction. He reached out for help this week. He told Jen and was not resistant. He asked her to take him and she wanted to be there for him." It sounds like Affleck was comfortable enough in Garner's presence that he went willingly back to rehab to long as she was by his side. The source also claimed that Garner had spoken to her three kids about what was going on and made it clear that she would be supporting their dad no matter what during this time. "Jen told the kids that Ben is sick and needs help from a doctor. She is open and honest with them," the source said. "It's extremely sad and disappointing that this has happened again, but she will continue to be there for him and not turn her back. She feels like she can't do that to her kids and that she wants him to be in their lives." On Friday, photographers spotted Garner looking much more chipper than she was the day before. 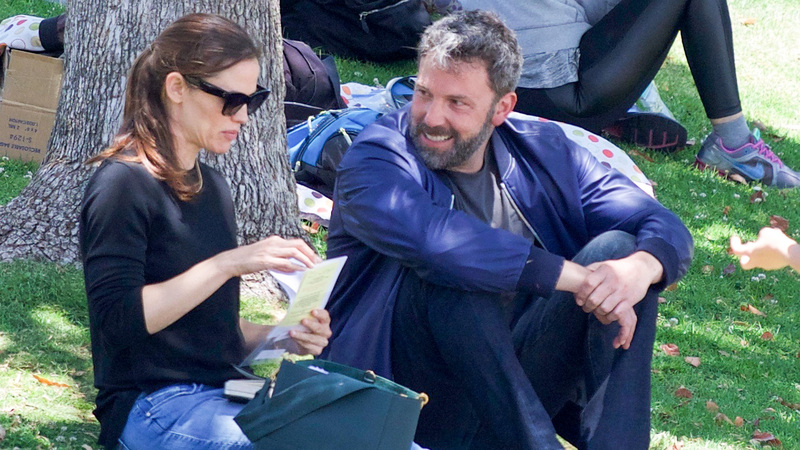 Although Garner herself did not comment on why she was beaming from ear to ear in the photo, we're choosing to take it as a sign that there's a silver lining to her story and Affleck's, now that he's getting the treatment he needs.